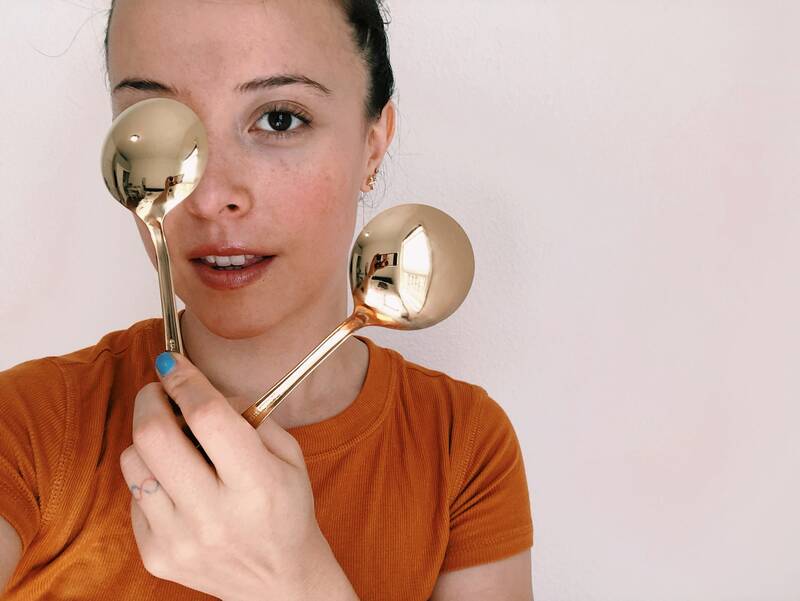 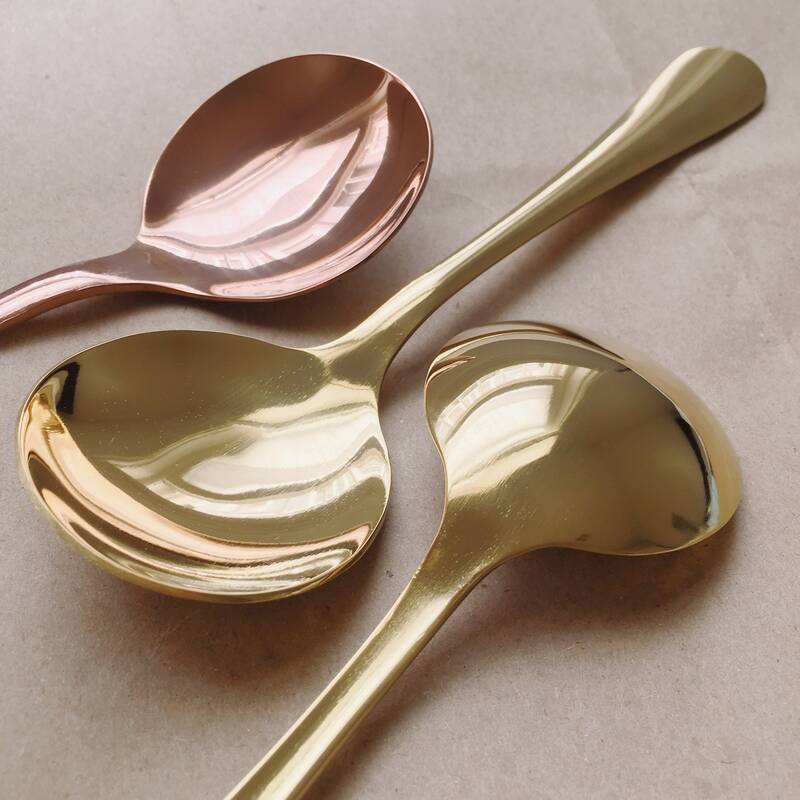 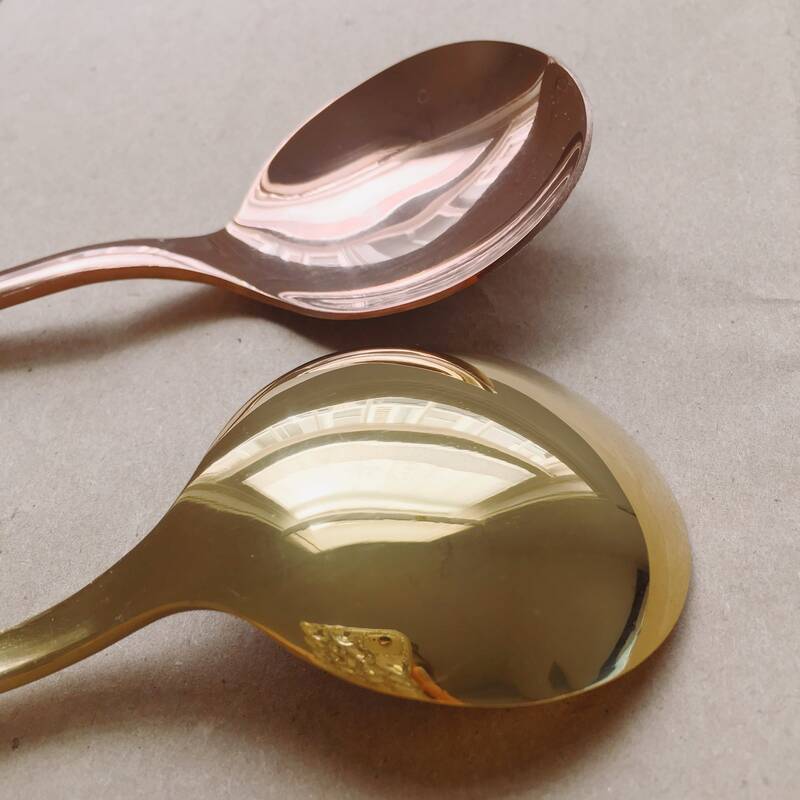 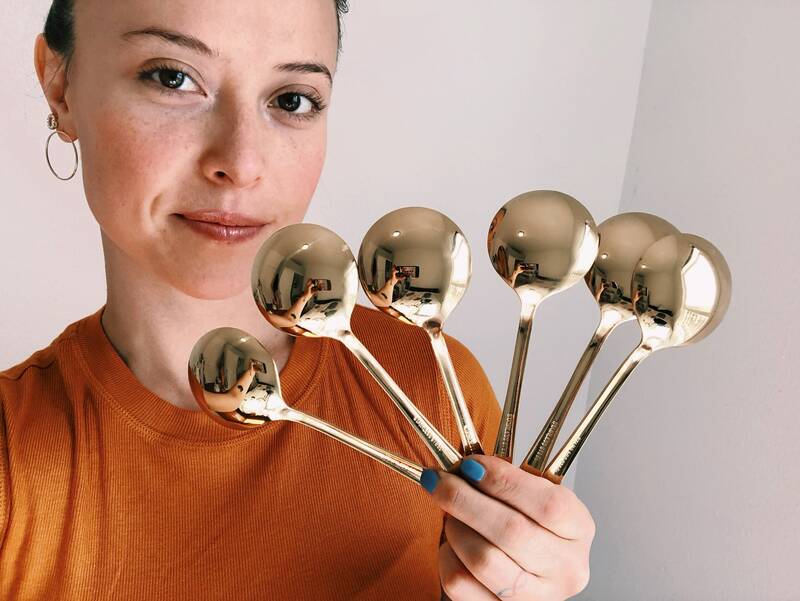 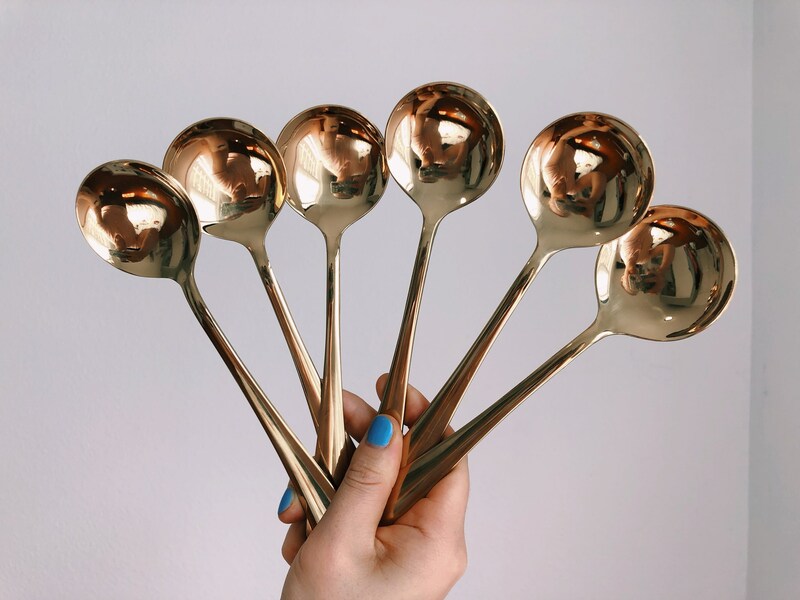 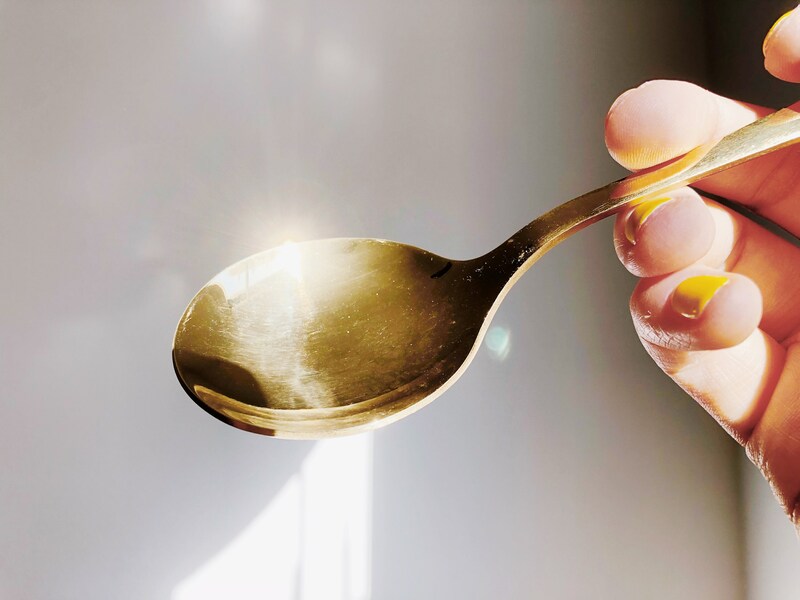 Stay gold w your very own gold-plated, stainless steel cupping spoon! 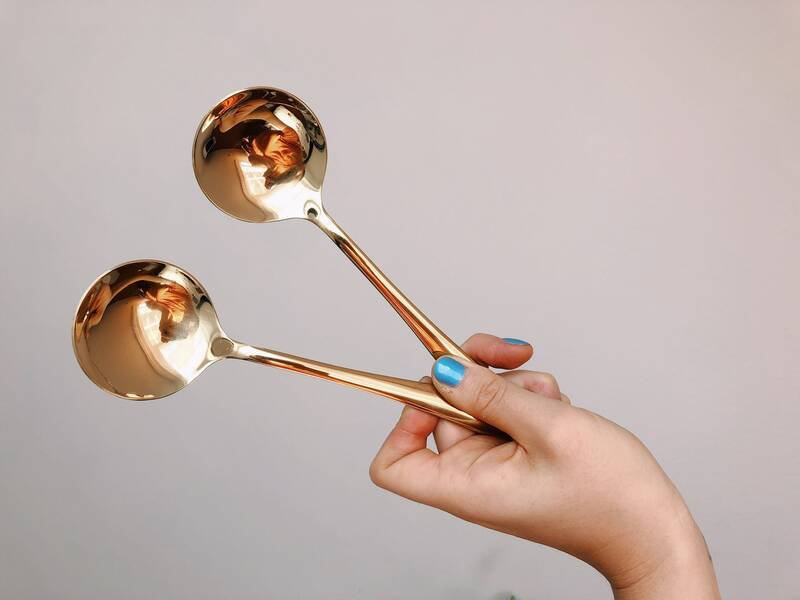 Handles like a dream and slurps like a sonnet. 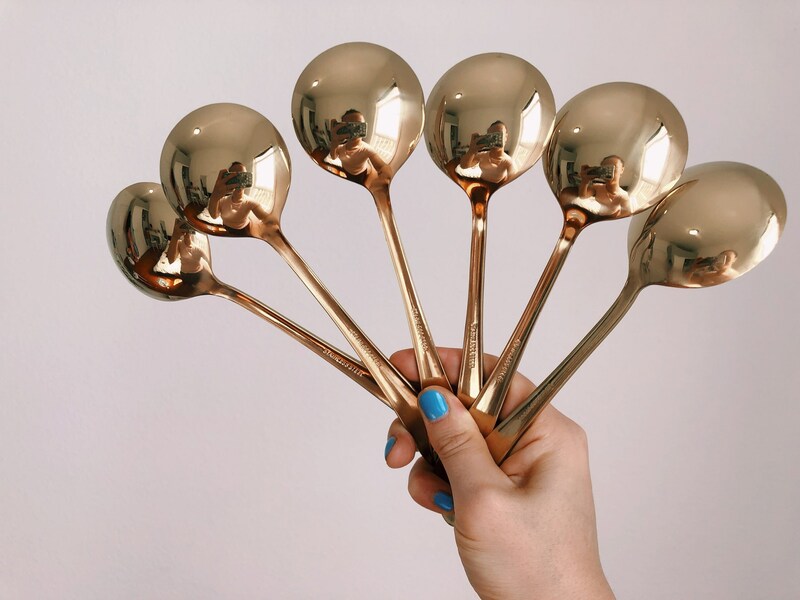 And $ave when u buy this pack of 6 for your whole crew! 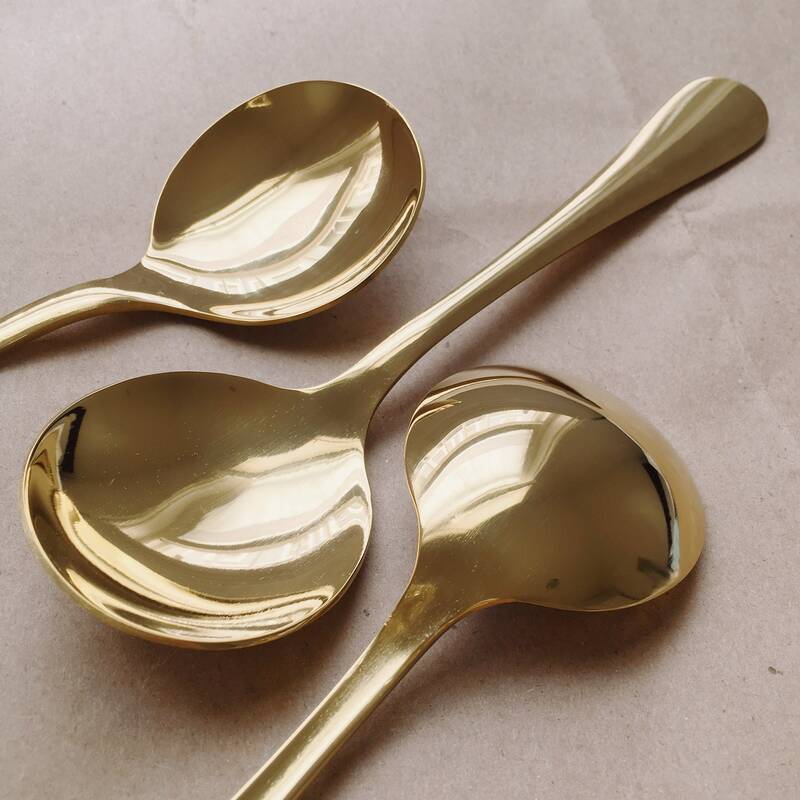 Sliding scale starts at $23 vs. $27, and shipping is $5 vs. $8.50.. 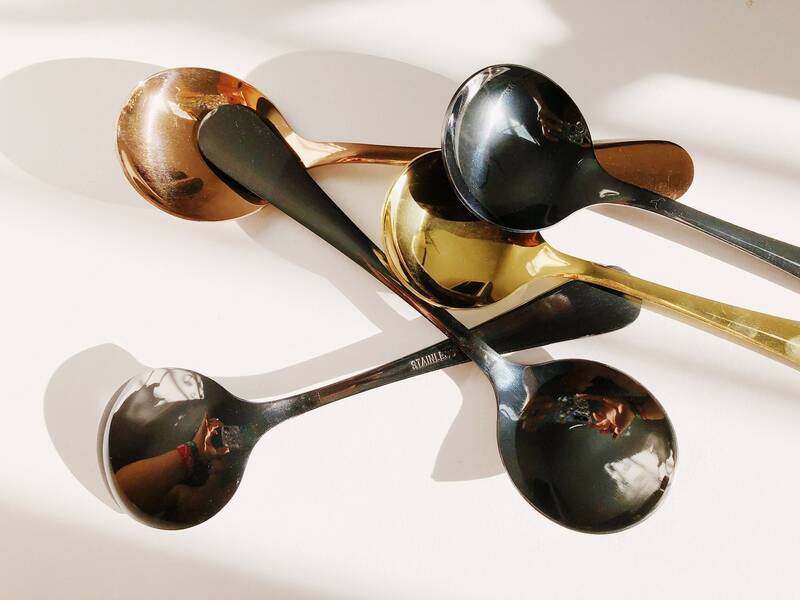 Shown above with the Rosé Gold Cupping Spoon and Goth Black Cupping Spoon - also available in this shop!